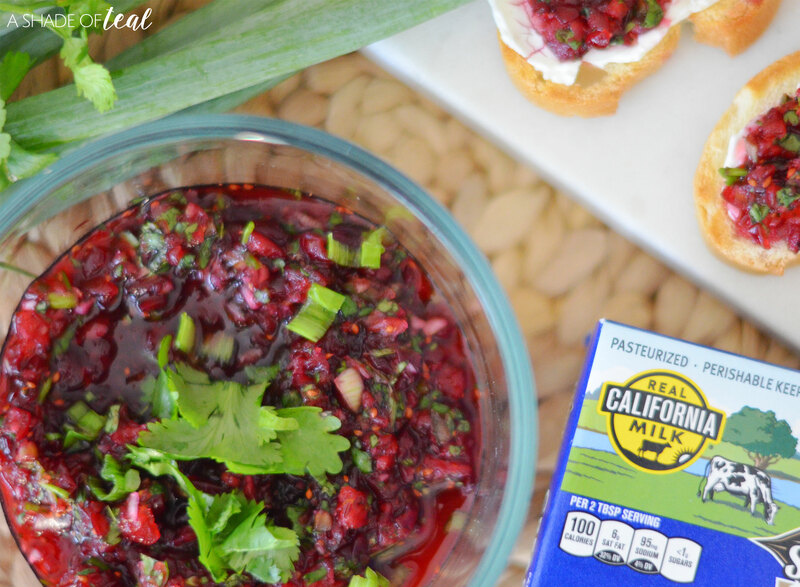 Spicy Cranberry & Cream Cheese Crostini Using Real California Milk! 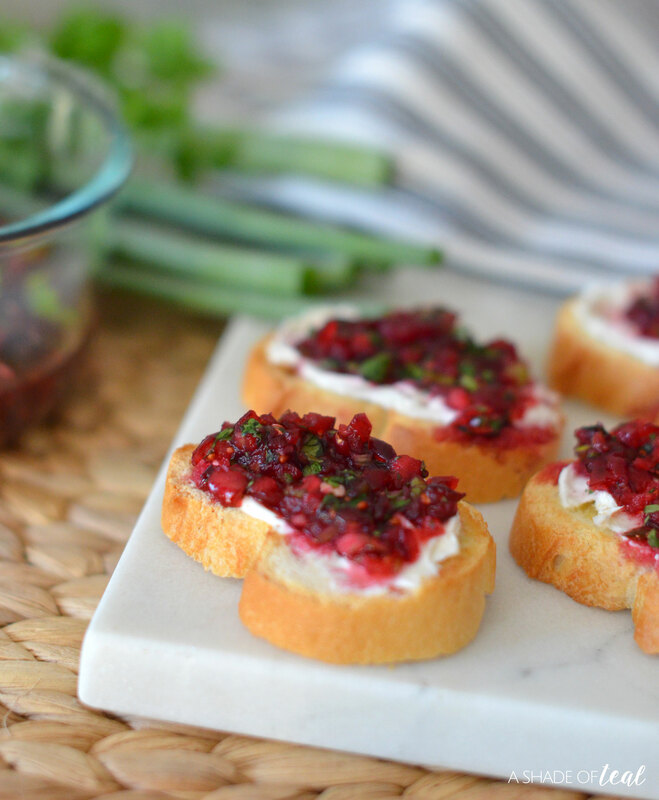 One of my favorite Fall snacks or appetizers is this Spicy Cranberry dip served with Cream Cheese on Crostini. There’s something so addicting to sweet and spicy foods, and knowing it’s healthy is a added bonus. What’s funny is that I don’t like cranberries. I mean at ALL! Not cranberry juice, jam, or just as is. I remember the first time I tried a dip similar to this I only did to be nice to the person who made it. But once I had that first bite I was hooked! 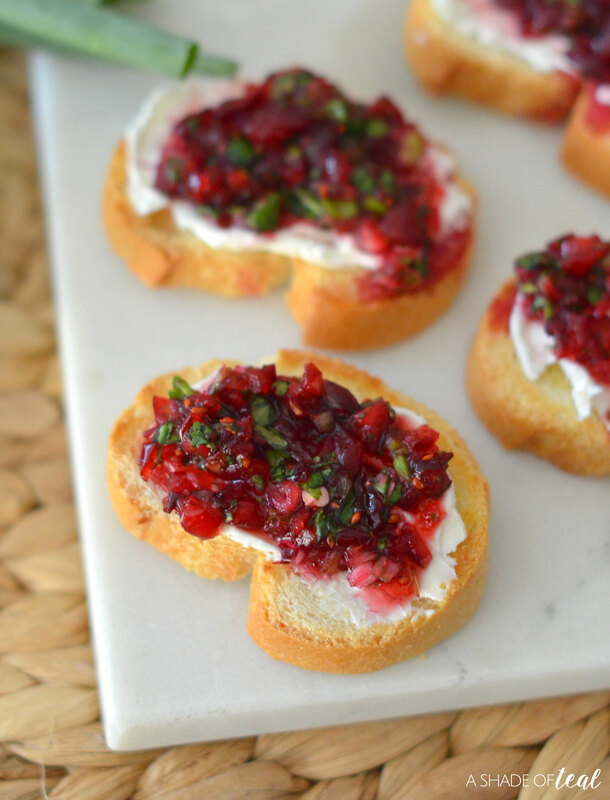 The tartness of the cranberry is contrasted by the spice of the jalapeño and it’s all balanced out by the delicious creme cheese! 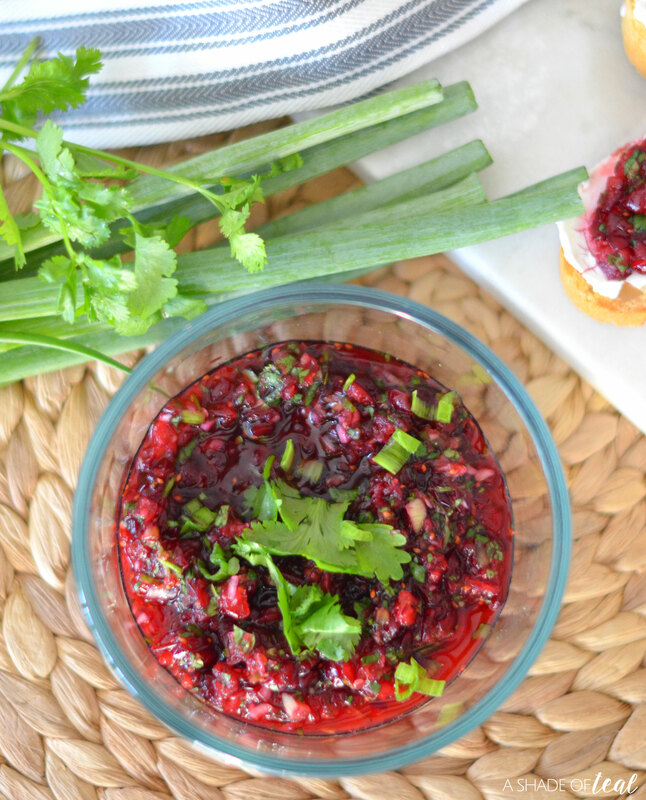 So, this is my take on the favorite Cranberry dip! 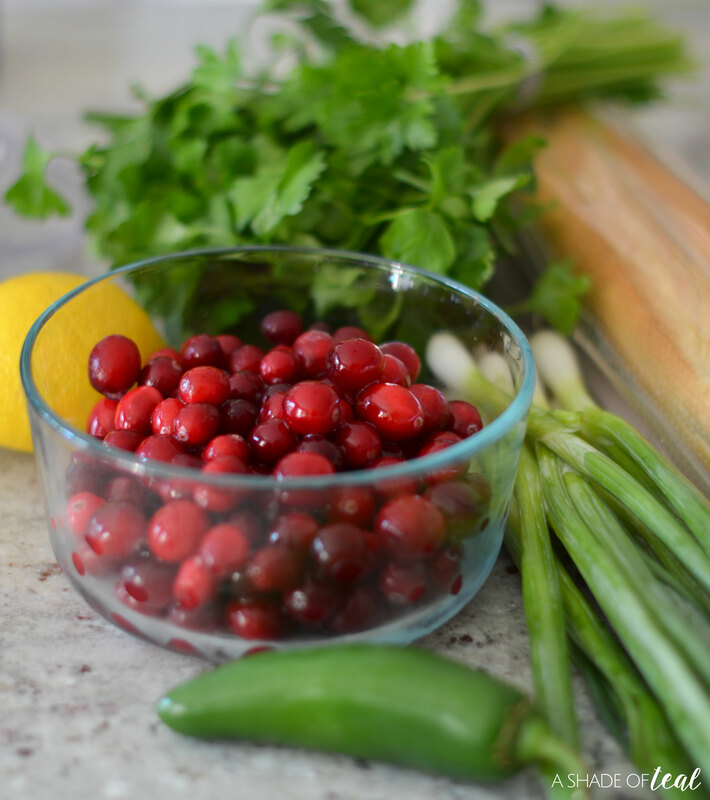 Chop the cilantro and green onion into small pieces. 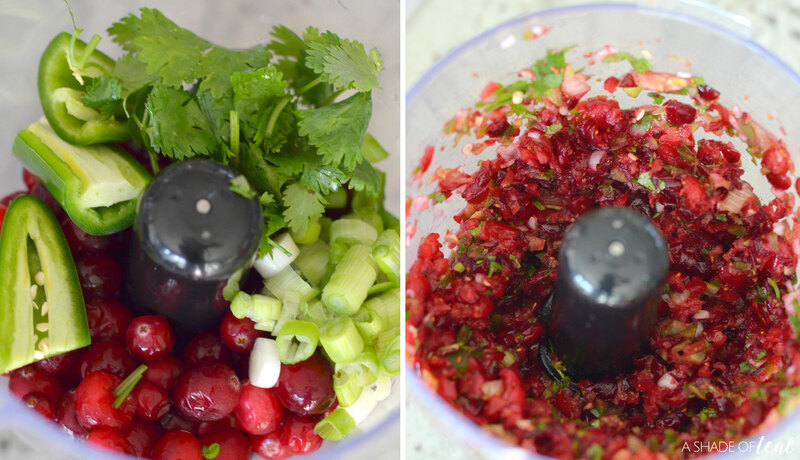 Add the cranberries, cilantro, green onion, and jalapeño to your food processor and chop. Leave about half the seeds to make it spicy. Once chopped, move it into a bowl and add the sugar, ground cumin, and lemon juice. Cover the bowl and place in the fridge overnight. This allows for the flavors to fully mix. Slice and toast the baguette. 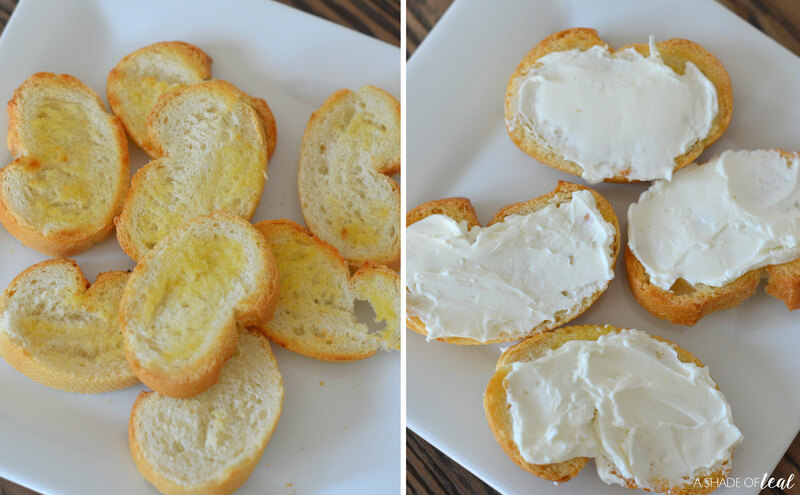 Spread the softened creme cheese on the crostini. 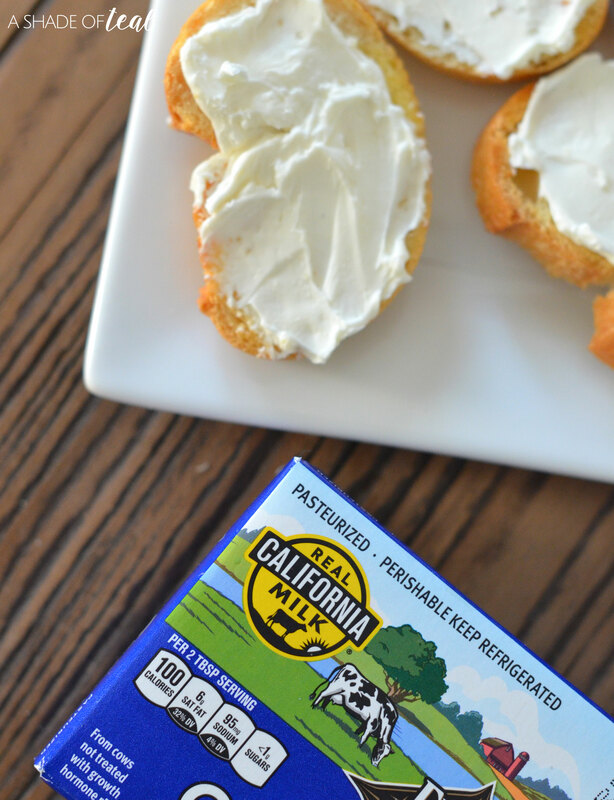 When it comes to creme cheese or dairy products I always use items with the seal of “Made with Real California Milk!” The Real California Milk seal means the product is made with 100 percent milk from California’s 1,300 dairy farm families. It’s always great to support local and California dairies are 99% family owned and operated! Finally, top with the cranberry dip and serve! 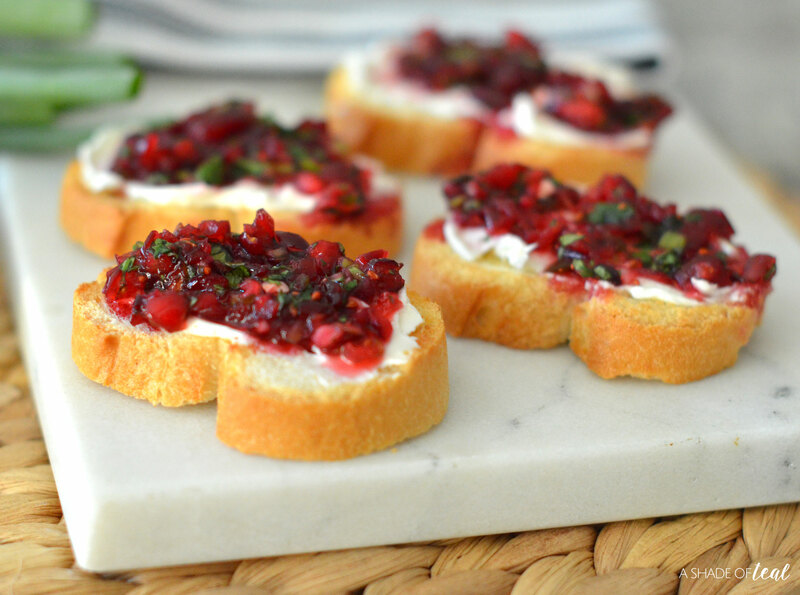 These Spicy Cranberry & Cream Cheese Crostini’s will sure to be a hit; whether it’s just a healthy snack at home, or served as a family gathering appetizer, everyone will love it! Even the cranberry skeptics like me! 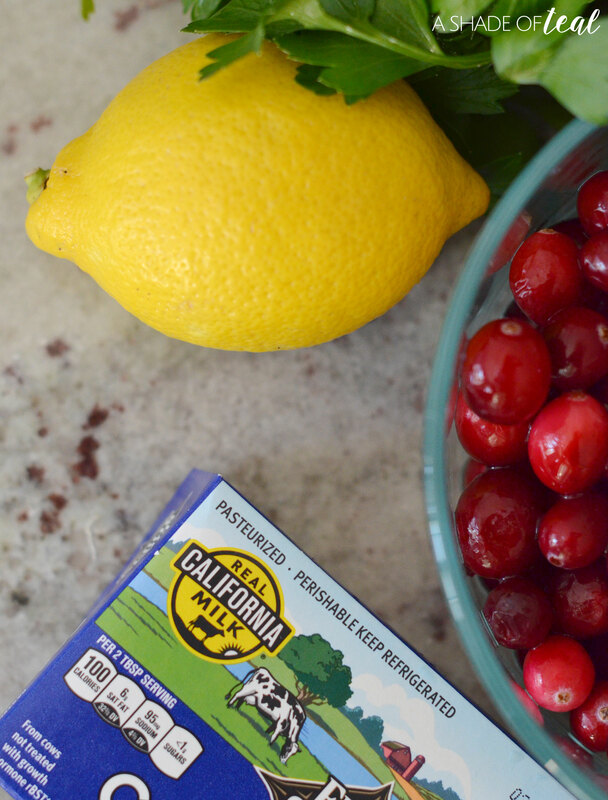 Plus, using Real California milk and dairy products are a healthy, tasty way to get essential vitamins and minerals. 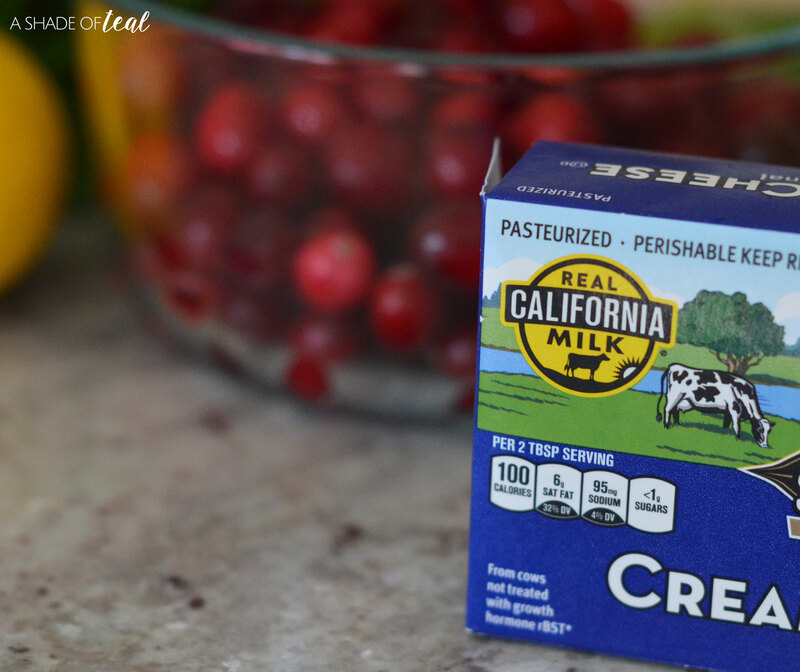 With California dairy you get real food from real people. Don’t forget to look for the Real California Milk seal next time you’re shopping. And if you don’t live in CA you can still shop their products, you’ll find items sold near you here. Fruit Infused Water, How to get your little one to drink more water! Life on the go; how to keep things clean!